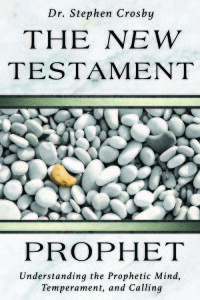 I’ve read your book, “The New Testament Prophet”. I thought it was very well done! It’s good to see you’re still doing what you were doing years ago – bringing balance, upsetting the norm and setting up kingdom foundations. I too have turned the corner on much of the charasmaniac ways. I’ve heard it said by some of the older charasmatic leaders that, “the movement never came to maturity”. I can’t agree more! For many in that movement, not all, but many, they were like children playing in the wading pool of God’s acts/gifts and never going into the deep end of God’s ways. Ways as you expressed in your book in regard to faith, works and love in authentic brotherhood and community.